What happens when you get bunches of wine bloggers all together to take over a small wine country town? Mine cave-ins, death, destruction and mass group arrests! OK…that didn’t quite happen, but mass chaos, super amounts of fun and the realization that Calaveras County is an up-and-coming wine region with Murphys leading the charge as a boutique wine destination definitely DID occur. The Twisted Oak Winery Pre-WBC09 Murphys/CalaCo wine event had dropped, and there was no going back! The recovery is almost over…I have managed to survive another incredibly awesome North American Wine Bloggers’ Conference, once again headquartered at the Flamingo in Santa Rosa (Sonoma Valley). The 4 days of vino-frenzy began with a trek out to Murphys in the longtime wine region of Calaveras County, where some Twisted wine fun was had by a few lucky bloggers who made the trek. Hosted by El Jefe (Twitter) & Scott (Twitter) of Twisted Oak & Newsome-Harlow, we visited the tasting rooms of Hatcher, Newsome-Harlow, Tanner and finished up at the TO tasting room with some Renner wines. It’s baaaaackkkkk! 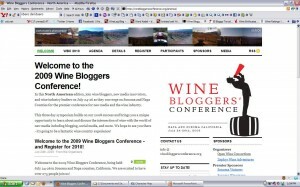 Today on this first day at the 2nd Annual Wine Bloggers’ Conference in Santa Rosa, we’re revisiting one of the most popular events…live wine blogging or speed-dating for lushes! 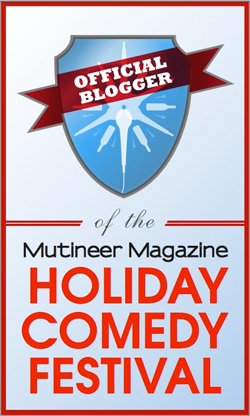 20 wineries/wines/winemakers, 6 minutes, 20+ tables of thirsty wine bloggers…GO!! WBC09: It’s here! Well, the Twisted Pre-Party, Anyway! 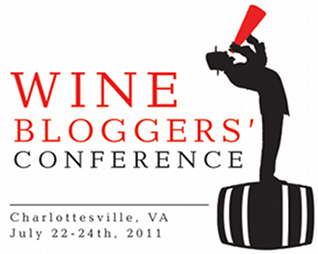 The 2nd Annual North American Wine Bloggers’ Conference is almost here, starting tomorrow! 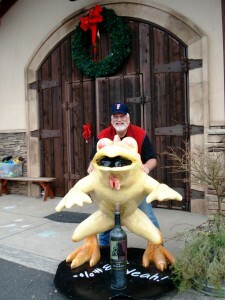 It is again at the Flamingo in Santa Rosa, CA, deep in the Sonoma Valley. Last year’s inaugural conference exploded the reach and understanding of wine bloggers, wine & social media and their effect on the wine biz. It also had a profound effect on myself and my own understanding of social media, blogs and wine. Starting things off, however is a pre-party at Twisted Oak and downtown Murphy’s, courtesy of that crazy vinoman, El Jefe, Jeff Stai (Twitter)! This was a trip so epic, that it took a year to digest and to prepare the story-telling…that’s the story I’m stickin’ to anyway! Pops & I have taken many a wine trip together over the years, this was the sixth, in fact. 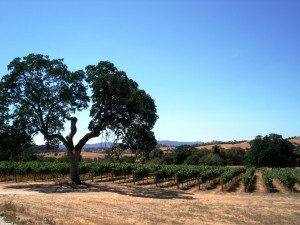 Each one has been in a different appellation or sub-appellation around NorCal. Following my pre-WBC09 Twisted Murphys visit with some other vinopanions in crime, I decided that Pops and I needed to definitely take over Murphys and its Calaveras County wine country for our upcoming trip later that year. I spoke a lot in that earlier Murphys post about the exciting, up and coming aspects of the Calaveras County wine region and how it has already reached at least the wine crafting quality of it’s larger and surrounding appellation of the Sierra Foothills and is coming into its own as a true wine destination. Murphys, the historic Gold Rush and logging town, has completely reinvented itself as a more boutique, yet still nicely rustic wine and food mecca, tucked underneath the stunning Sierras and Calaveras Bigtree National Forest. Pops and I decided that we needed to dig a bit deeper this time and really get to know this comfortable piece of wilder wine country. Sometimes life just nicely comes together. Sitting down at the end of the 2009 North American Wine Bloggers Conference in the sunny courtyard of Dry Creek Vineyard, I happened to sit across from one Jill Dever (Twitter). 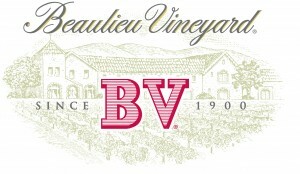 She being the Visitor Center Coordinator at Beaulieu Vineyard and the newly minted social media queen of all that is BV. We got to chatting and she mentioned that BV was really looking to expand its presence in social media, particularly with wine bloggers. A card swap, a few introductions and a new wine journey had begun! I solved a wine mystery recently, one that had been bothering me for years. Around the time that The Lady and I bought our home in the Bay Area, I was allowed able to buy a decent wine fridge, my Danby 75/100 bottle. Just as I was headed out the door from Wine Hardware with my affordable new wine storage, I spotted an interesting book on their shelves entitled, Cold Surveillance. It was interesting not that it was a set of wine memoir columns (right up my alley), but that it was written by a Wine Country private eye…¿que? I turned back to the counter and added the book to day’s purchases! 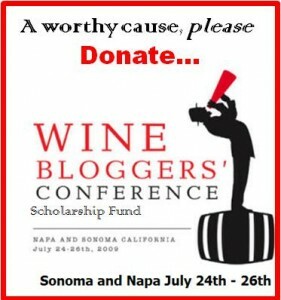 Help Your Favorite Wine Blogger! The reach and influence of wine bloggers and wine social media mavens have exploded over the last couple of years, particularly in the last 12 months. Major wine critics have have noticed and responded, wineries and all three tiers of the wine business oligarchy have also taken notice and begun to capitalize on that influence (or are already playing catchup). The recent exhaustive and outstanding industry whitepaper by VinTank, Wine & Social Media is the first to encapsulate and quantify this influence and serves as a very important reference for these interactions between wine business, their consumers and the key social media mediators (human and software/websites) of these connections. It is a groundbreaking accomplishment and a signpost of the rapid, continuing maturity of the wine social media sphere.